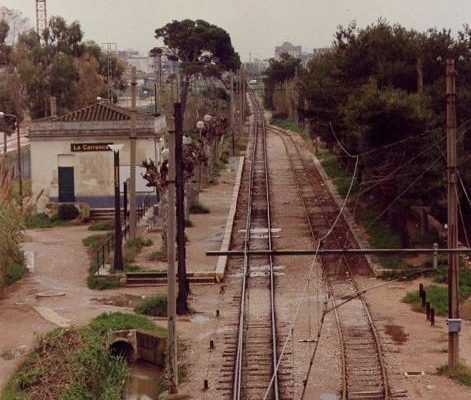 Both the Vera road and the Carrasca path started out from the end of Tránsitos, which is now Primado Reig Avenue, on the eastern side of Benimaclet. 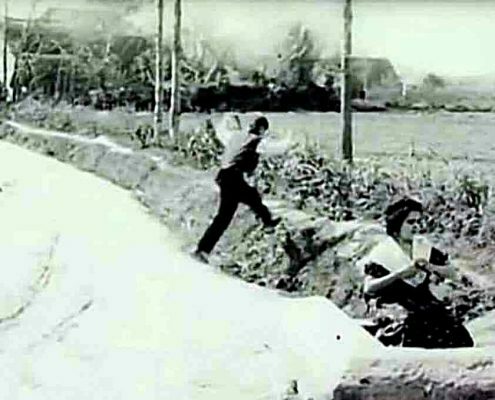 They ran through the farming area towards the sea. 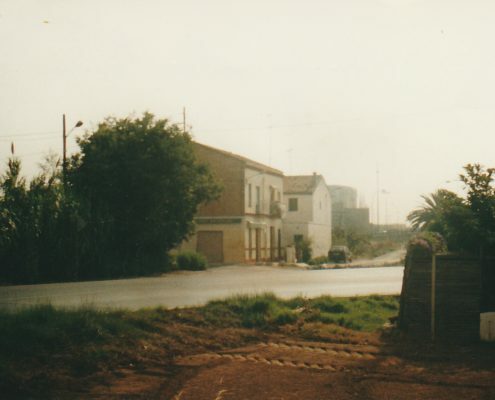 The Carrasca Path (Senda de La Carrasca) began at the end of Primado Reig, after what is now Casa Clemencia. 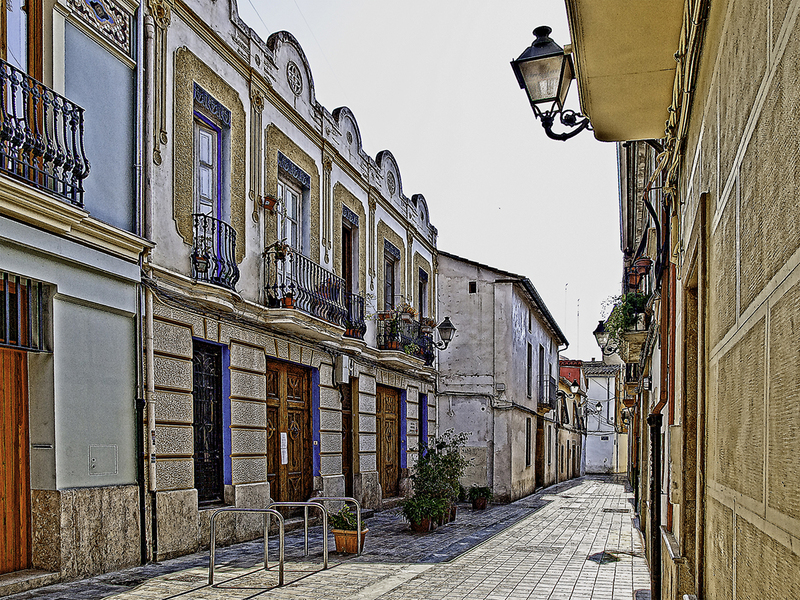 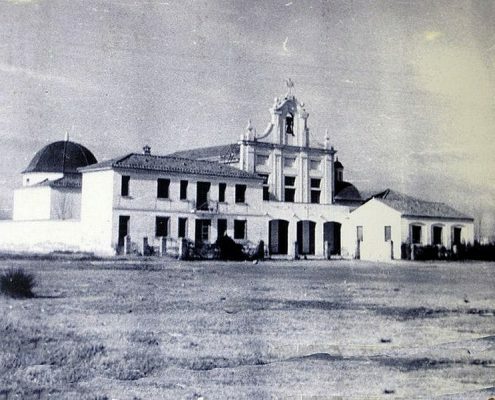 Its end point was an area known as La Carrasca (which used to be farmland and nowadays houses the Tarongers buildings of the university). 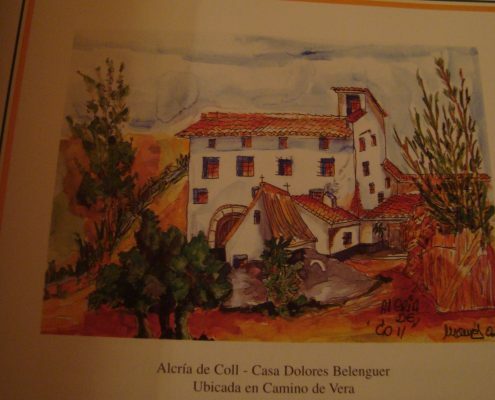 Just a few meters along, the Carrasca Path passed by the “Casa Palmer” and a bit further on the “Casa Caballero”, a farmhouse from the 18th century, to which there is, however, also a possible 16th century reference by Ascensión Duarte. 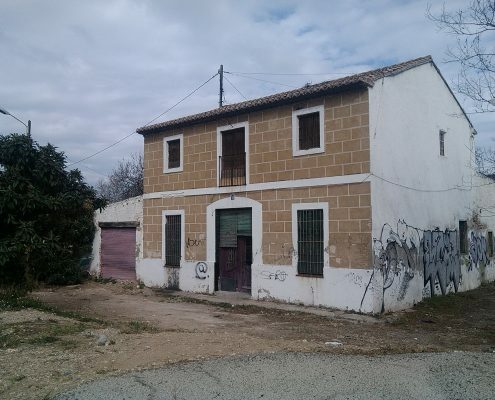 This farmhouse was restored in the 1990s and later put to use for administrative purposes. 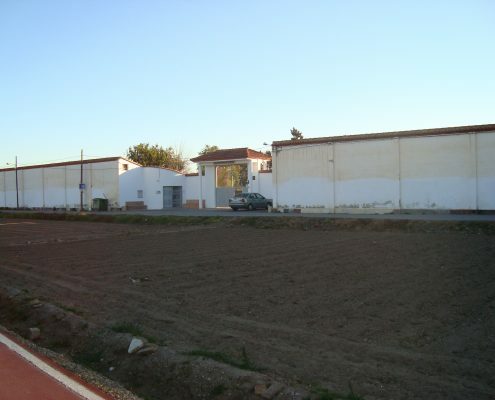 It is hidden from view, almost invisible to a passer-by, among the sports installations of Polideportivo de Benimaclet. 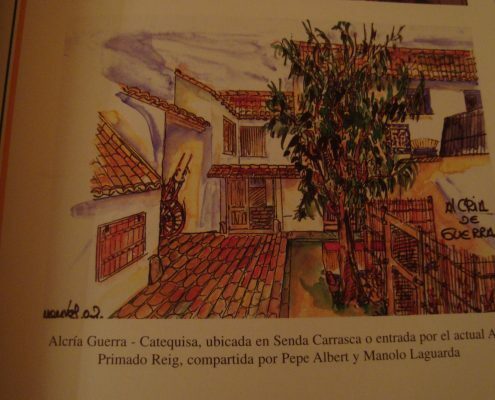 Continuing along the road and just a short distance ahead were the “Casa Guerra” and “Casa Catequisa”. 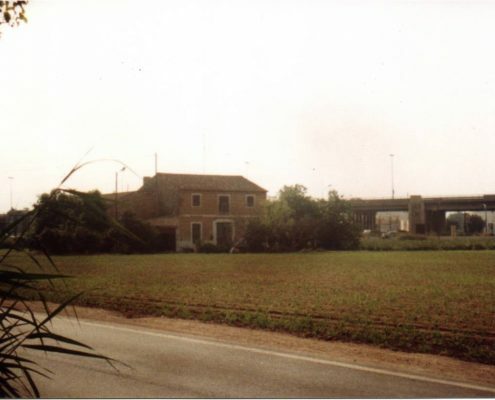 From there on, the path continued among fields and irrigation canals, passing the expressway to Barcelona, until it arrived at La Carrasca, where the railway line between Pont de Fusta and Grao had a stop. 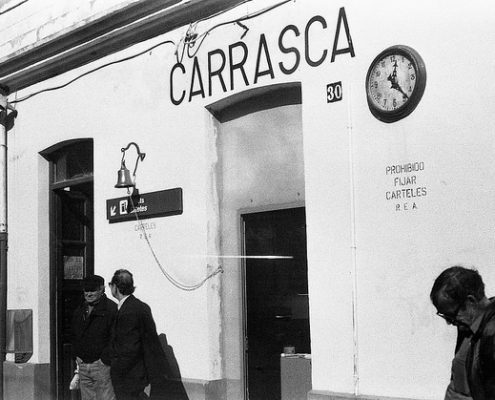 La Carrasca was a traditional place for outings. 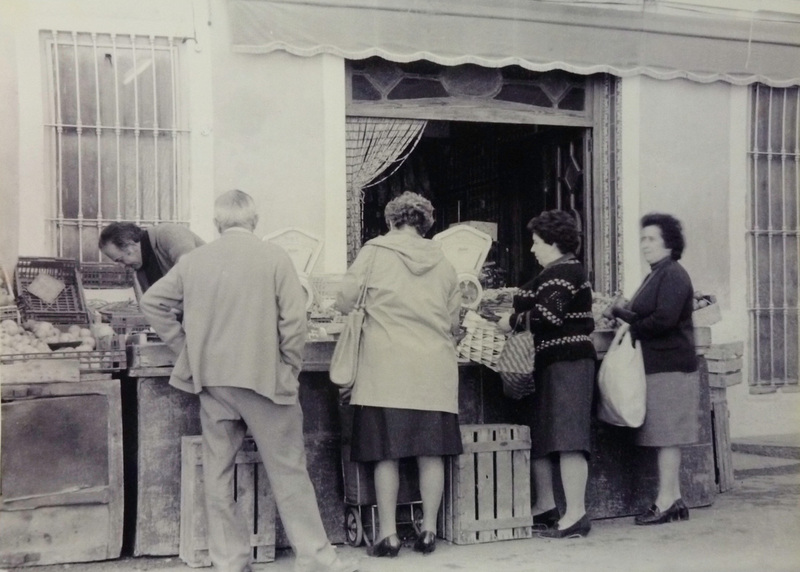 Until the early 1970s, many youngsters from Benimaclet would go there to “eat the Easter cake” during Easter (“ir a comer la mona”). 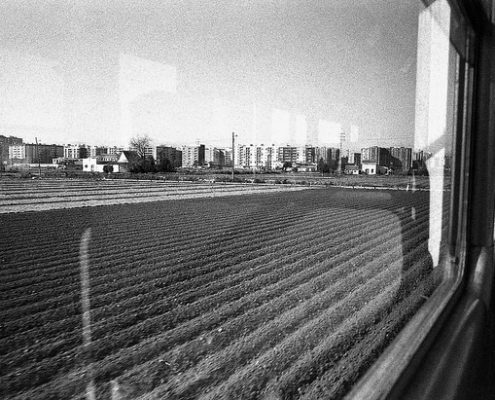 During these outings, more than one love story was born. 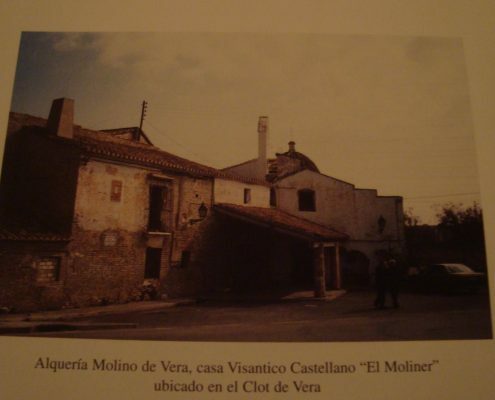 The Vera Road (Camino de Vera) began near the farm house “Alquería Ximeno”, the northern part of which was inhabited by Francisco Catalá and the southern part by Valero Monrós. 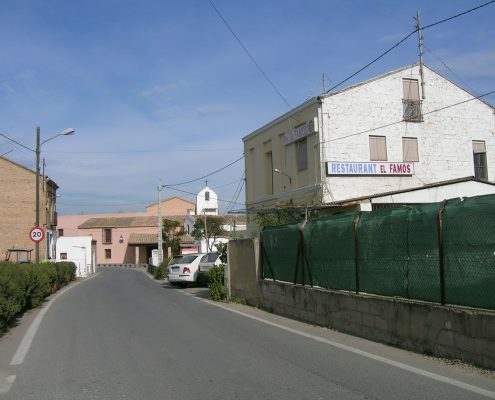 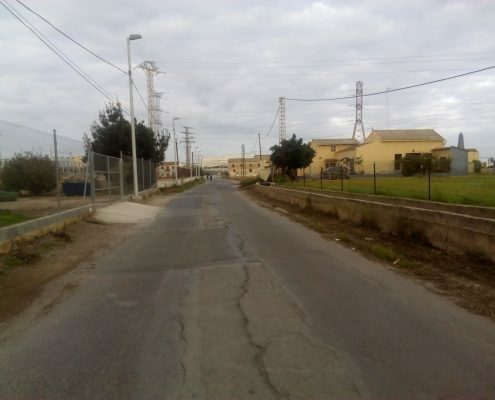 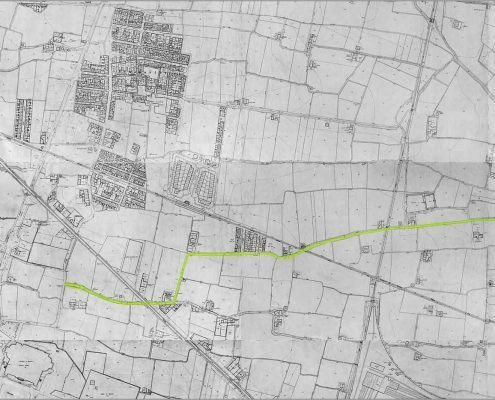 It crossed the Tránsitos Road (now Primado Reig Avenue) between what is now the Guardia Civil quarters and Casa Clemencia, and continued its way among irrigation canals and farmlands until arriving at La Malvarrosa. 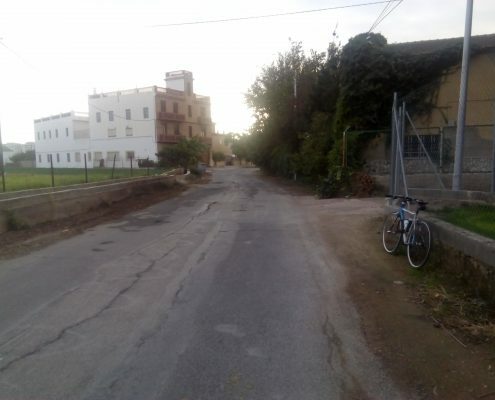 The road turned left, leaving the “Alquería de los Creus” to its right, near the present Ramón Asensio Street. 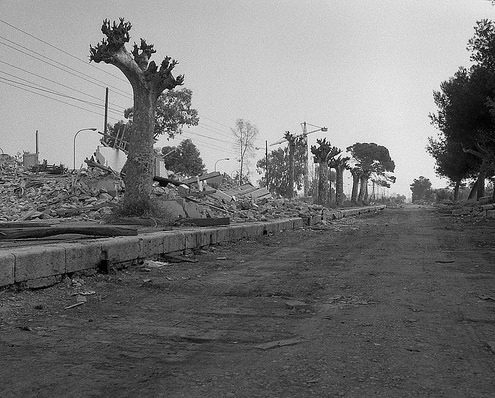 Approximately around here there was, in the 1960s and 1970s, a field that was never cultivated. 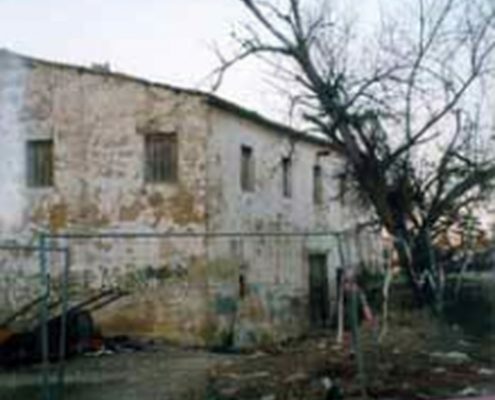 The kids of the area, especially those who lived in “La Colmena” building and in the Puebla Larga and Las Fresas streets, used it for unending games of soccer. 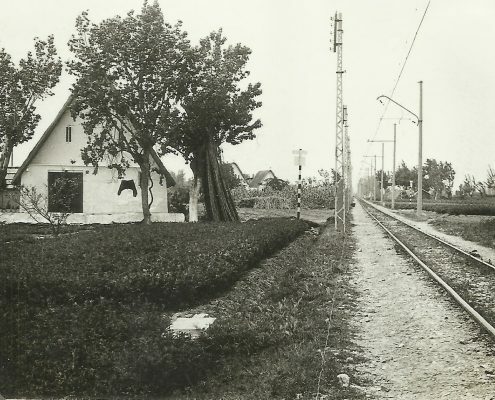 This field was popularly known as “the ladybug field”, because, noone knew why, there were always lots of these little flying red bugs with black dots there. 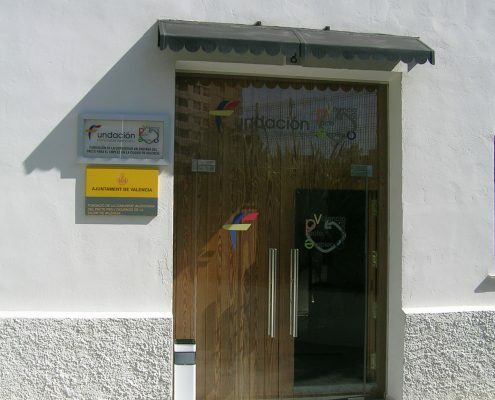 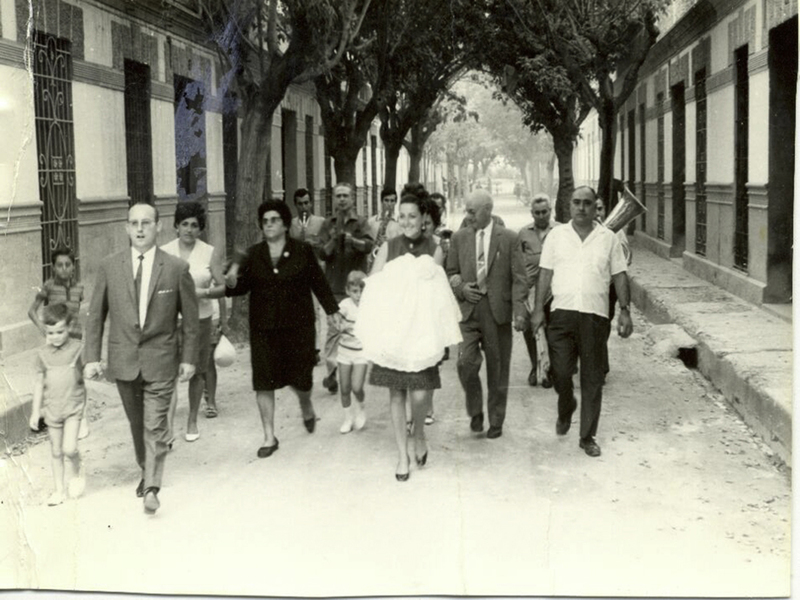 The road continued, turning right until passing near the “Casa Cafís–Chalet Vista Alegre”, known as “Chalet Martí”, which is now the seat of the Municipal District Board, and further on through the Santa Ana area, where nowadays we find the Ferrer i Guardia high school. 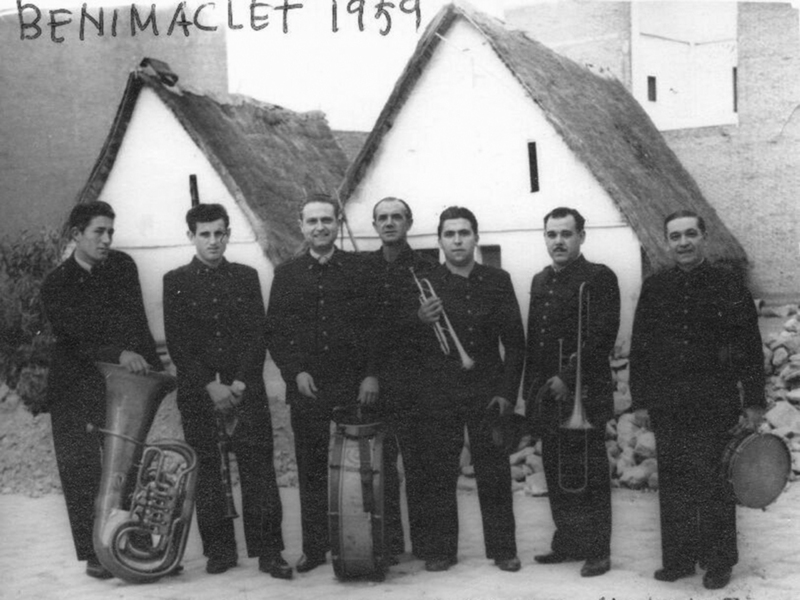 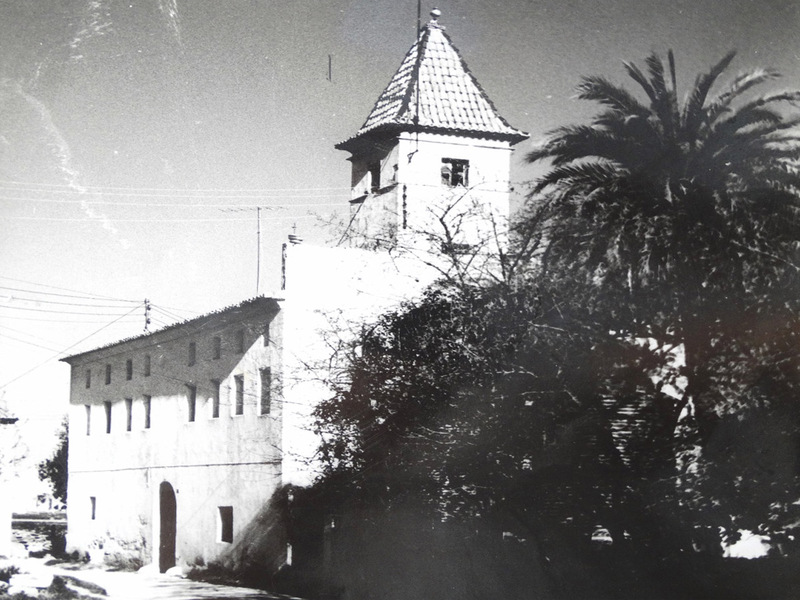 Soon after that, it passed to the left of the Cámaras Beccari (an old garbage recycling building) and “Casa Cucaleta”, which is still standing although not inhabited. 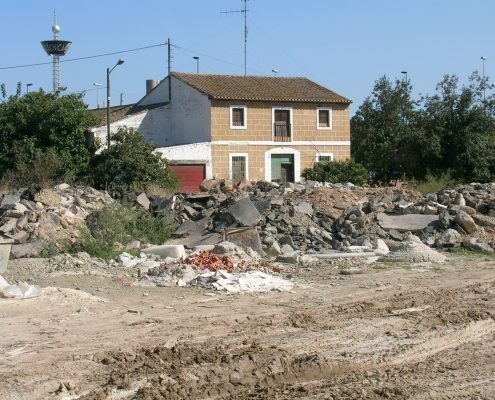 It is one more victim of the Benimaclet Este development plan. 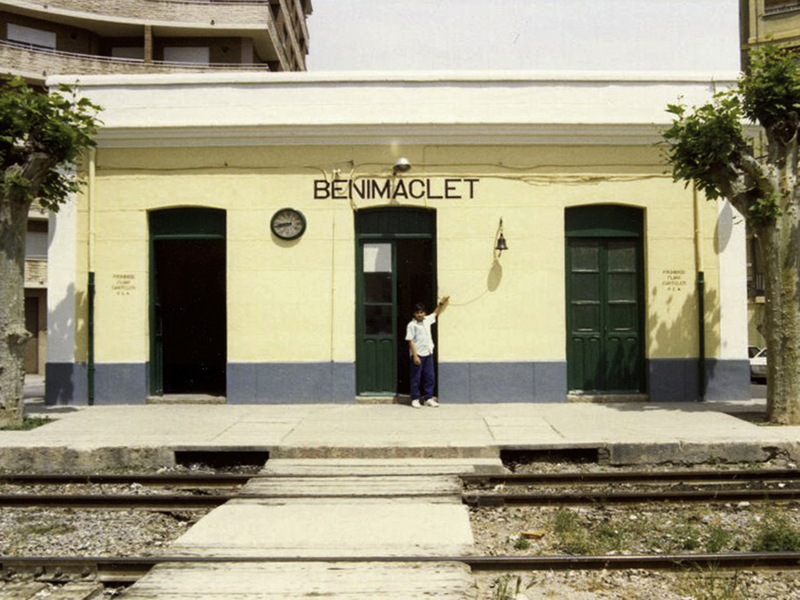 To its left, in the early 1970s, was the Benimaclet soccer team field. 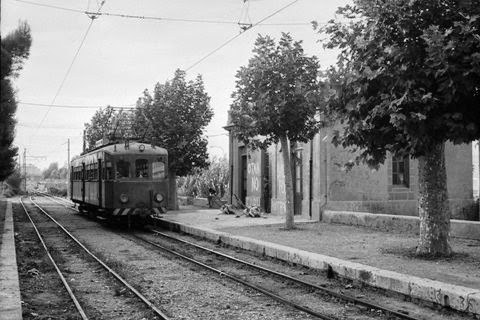 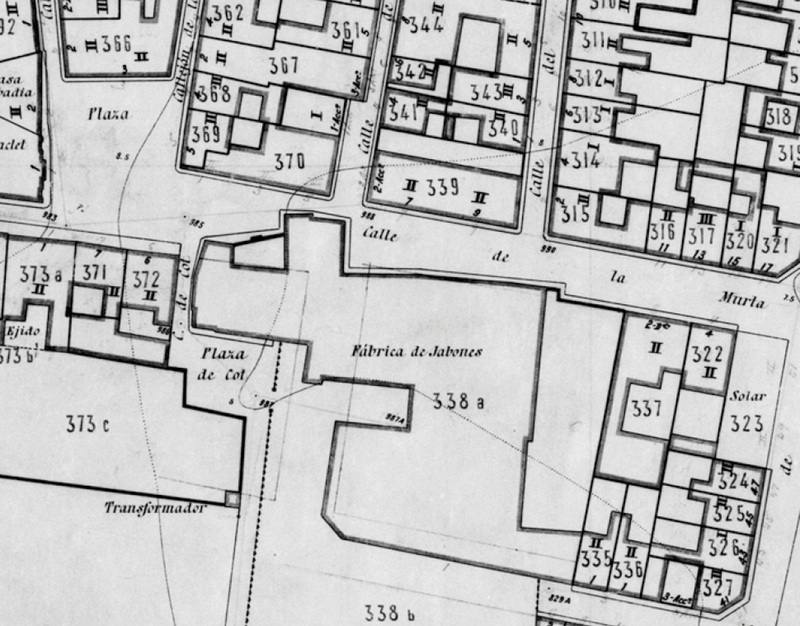 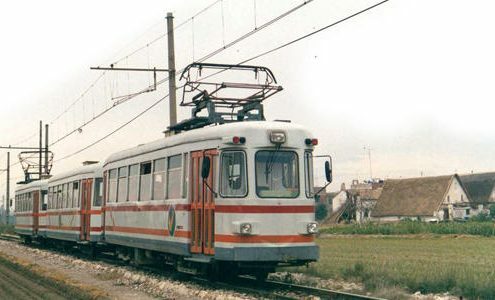 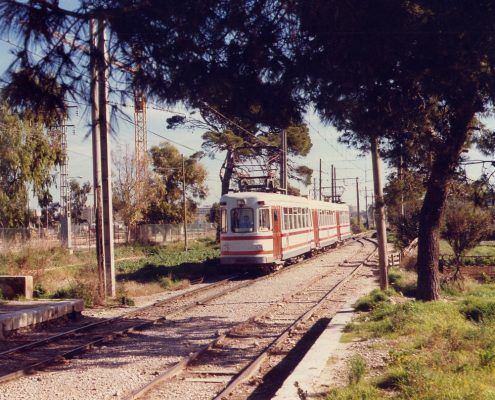 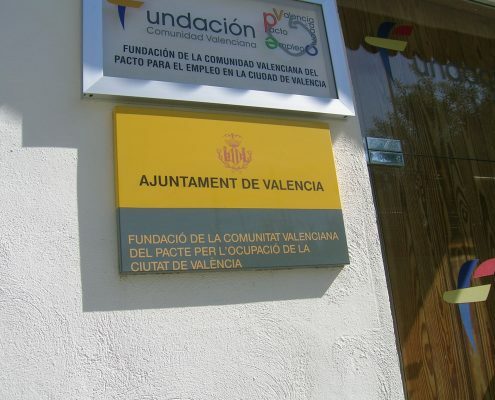 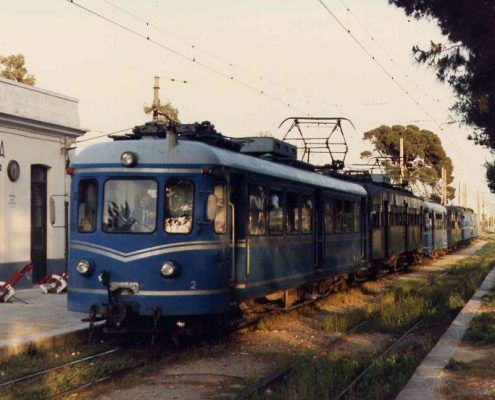 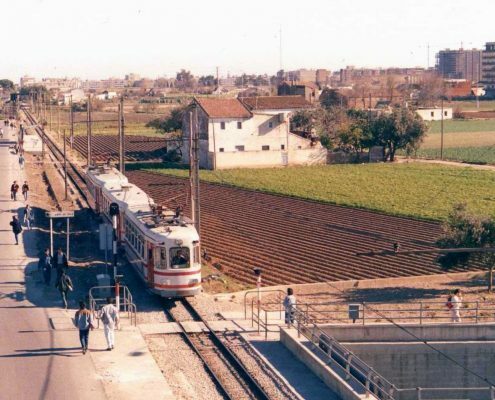 Further on, it crossed the “vía churra”, the train tracks that connected Valencia with Aragón, and right after that, to its left, were “Casa Pelillo”, “Casa Fusques”, and “Casa Chispa”. 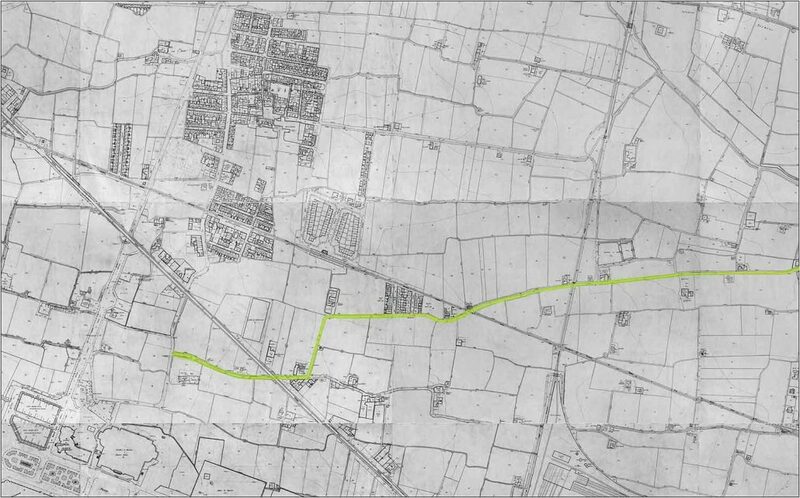 All of these were also connected to the Spring Road (el Camino de Las Fuentes) and close to the Benimaclet Parish Cemetery. 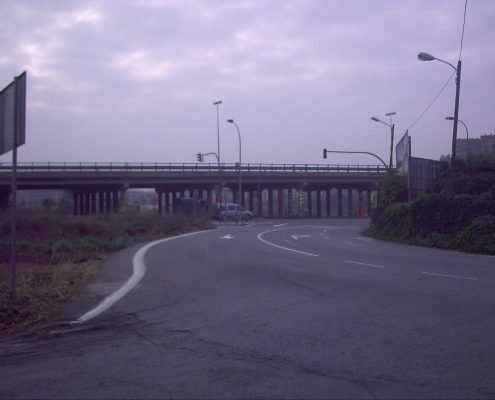 The road went on, with many curves, passing the expressway to Barcelona and on towards La Malvarrosa. 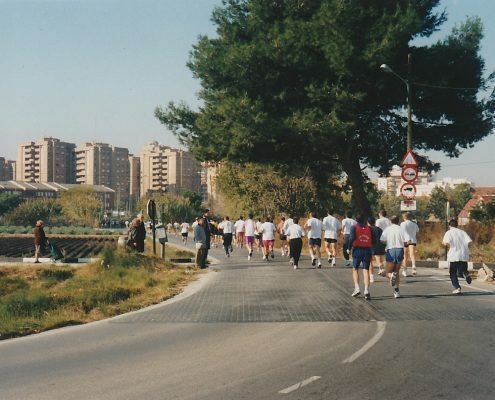 Some 500 meters after the expressway, around the present building of the Fine Arts of the Technical University (Universidad Politécnica), was the “Fuente del Amor” (Fountain of Love). 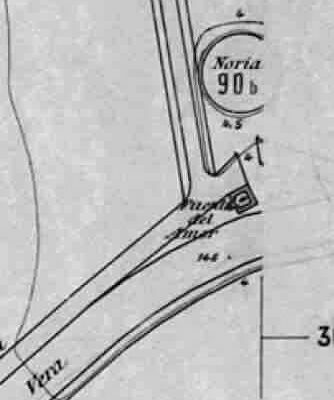 This natural spring was a good thing for everyone who walked by or worked on the farmlands. 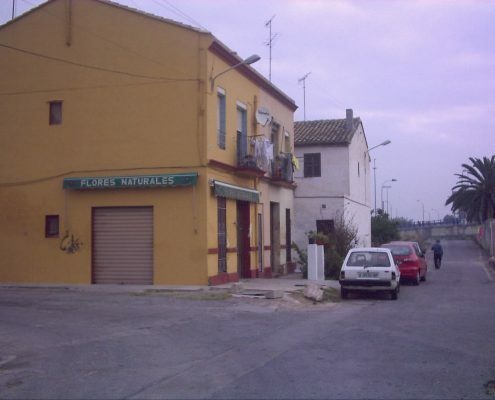 Continuing ahead, we would find (and we still find) the “Casa Famós” restaurant and the Vera Chapel and Mill (Ermita y Molino de Vera) to our left. 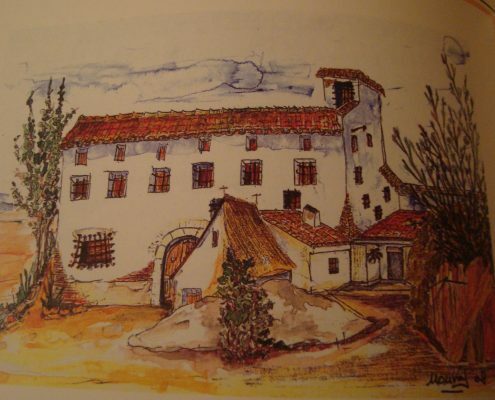 The Vera Mill is from the 15th century and stopped functioning as a mill over 60 years ago. 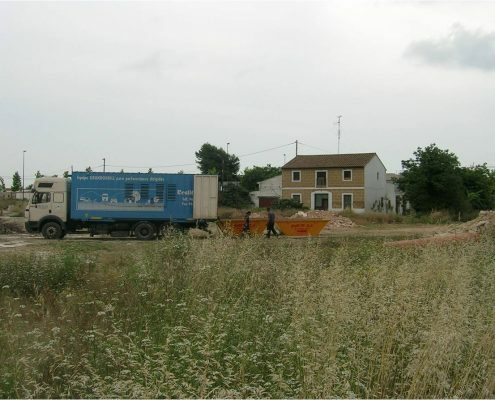 Further along the road, we would find to our left, about 50 meters from the road, a spring of fresh and extremely clean water that emerged from the ground. 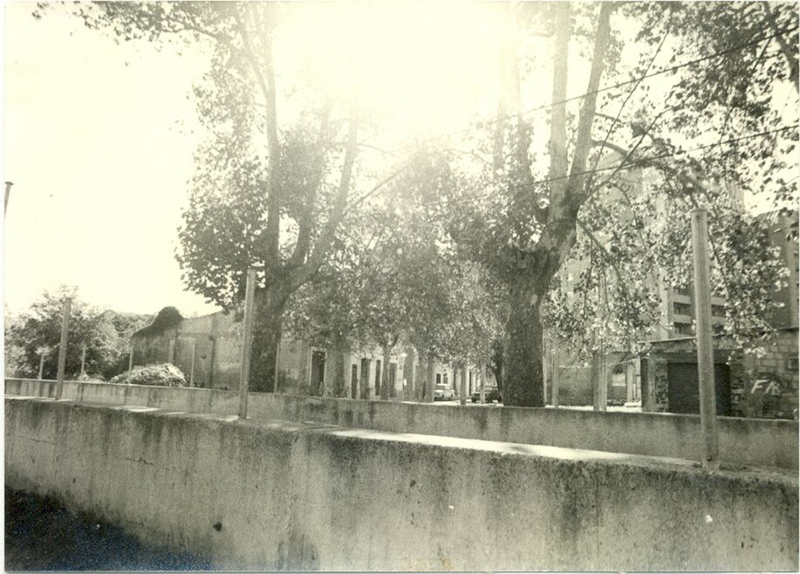 Another good chance to refresh ourselves and rest in the shade of the trees. 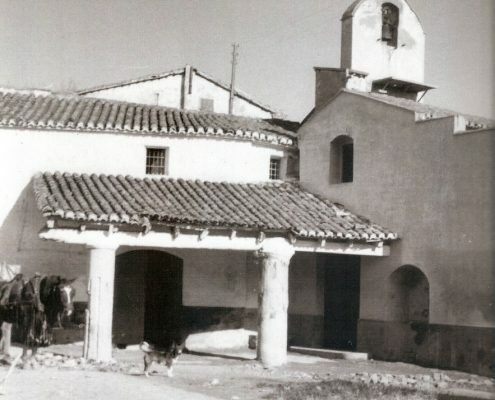 Soon afterwards we would cross the railway line Valencia-Barcelona – which today runs underground – and we would immediately see, to our left, the Vera Church. 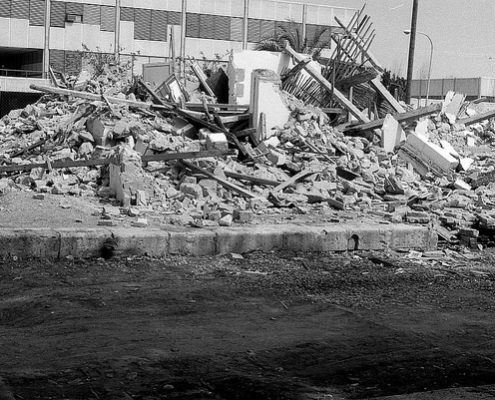 During the 1960s and 1970s, this church used to welcome labor union strikers, neighborhood activists and underground political parties. 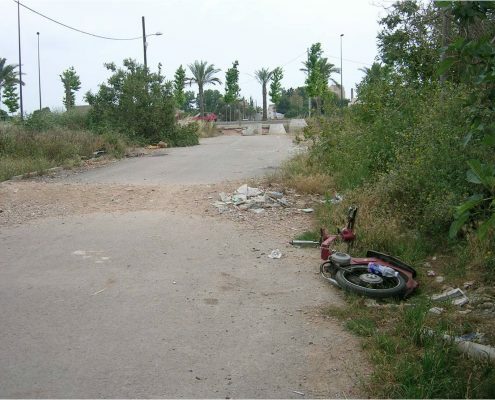 This was where the road ended. 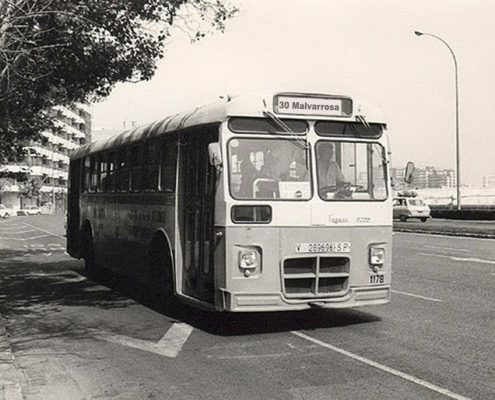 We would now be in the Malvarrosa neighborhood, with a view of the sea ahead and the home of Vicente Blasco Ibáñez to our right. 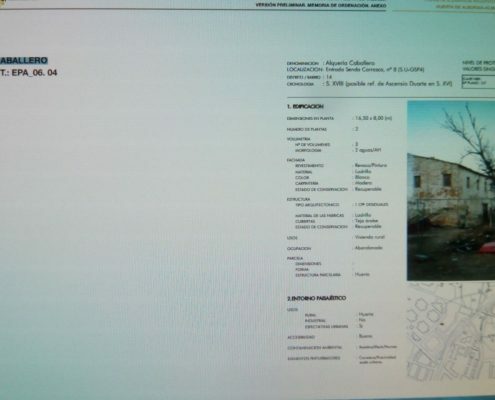 “El Forn de Bola”, “Casa Mellá”, “Casa Amo Patilla”, “Casa Simó”, “Casa Juanita y Noguera”, “Casa Pere”, “Casa El Mellat”, “Casa El Picatós”, “Casa Micalet de Noguera”, “Casa Juaneta”, “Casa El Chato”, “Casa Costella”, “Casa els Marsans”, “Barraca de Molina”, “Barraques del Cabut y Conole”, “Casa Marieta (Los Sanchis)”, “Casa Blayet”, “Casa de Ramón el de Sofía”, ”Casa el Banquet”, “ Casa del Culo Quiero”, “Casa l´Antiga del Sanchis”, “Barraca de Cremón”, “Alquería de Coll”, “Barraca del Tío Chaco (Paco)”. 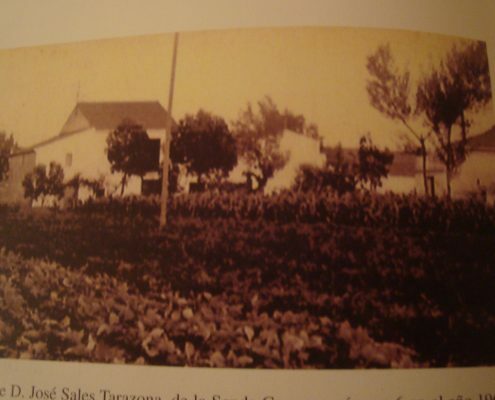 Parts of this story and description were written by a resident who used to play, in his childhood, in the fields and by the canals surrounding the beginning of the Camino de Vera and Camino Senda de La Carrasca, “appropriating” a tomato or two, perhaps an ear of corn, or peanuts, which were common products of the area at that time. 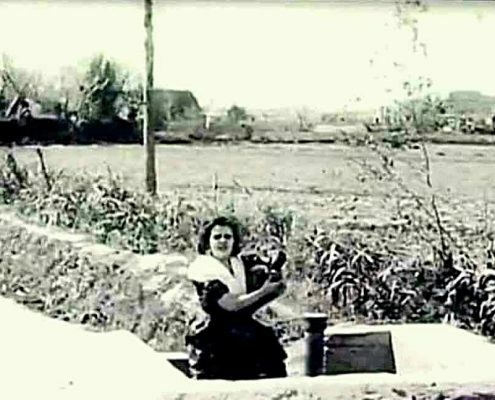 A farmer born in Benimaclet also added to the story. 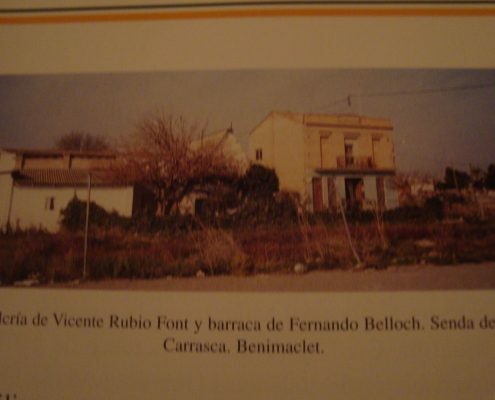 He prefers to remain anonymous, but thanks to his memory and knowledge of the whole Benimaclet farm area, we have been able to collect the names and nicknames of people who lived in the houses, alquerías and barracas around these two roads.